Where did the Knitting Classes Go? I don't have any answers to the question "where did the knitting classes go?". It's been coming up a lot lately and I've been asked the question many times in the last few months. My own guild, the Toronto Knitters Guild chose not to have classes at their annual event after close to 20 years of doing so. There are not going to be any workshops at this year’s Frolic. Many of the workshop proposals we received were similar to what is currently offered at our GTA yarn stores (some of whom are vendors at the Frolic). After careful consideration, the Frolic Committee decided not to offer workshops this year. Instead, and as part of the TKG’s mission to promote fibre-related crafts in the Greater Toronto Area, we are promoting the workshops available at the LYS. We hope you aren’t too disappointed, and look forward to seeing you at the Frolic Marketplace. At this time they have announced they do plan to consider offering them again next year. There was some activity in our Ravelry group discussing the classes, however considering that the event has well over 1000 attendees, 17 posters and 21 posts isn't very many. A number of the posts were about a class in Toronto being taught on the Sunday as an alternative so there were really only a few posters unhappy about the class cancellations. I heard from a third hand source that some vendors felt the Frolic was compromised by becoming a market only event. However to my knowledge no one felt strongly enough about this to raise it with the organizers. Some of my friends didn't attend at all because there were no classes offered. Others still attended but said they were disappointed because the more advanced classes they wanted were only available at the event and LYS classes tend to be for beginners. On the other hand all the teachers I know have been discussing how hard it is to fill classes anywhere other than very large events. Some have stopped submitting class proposals due to the poor compensation structure. Even at the large events some of my peers have confided their expenses were outpacing their profits due to inflation being paired with stagnant payment rates. Rates for classes and presentations have been the same since I started and in some cases are being reduced as venues also struggle financially. So here's a few of the theories I've been hearing during these conversations. LYS are taking care of the teaching needs of knitters. (I'm not sure this is true, recently two yarn shops have told me they can't fill their classes). YouTube and Craftsy have become our sources for knitting classes. In other words it's a technological change. Retreats and large events are the main place knitters now take classes. Knitting has been popular for the last 20 years and we have less need for classes as the majority of the knitting population has a high level of skill already. Many knitters aren't interested in developing higher level skills. They prefer simple soothing projects due to high stress levels in other parts of life. Knitters are very project focused and many classes are technique based not project based. I'd love to hear any other ideas you have on this topic. Our industry struggles to survive and I see many of my peers quietly dropping out because for many it's not a sustainable option. Labels: # knitting blogs, Where did the Knitting Classes Go? You can find Gabrielle here and here on Ravelry. I find inspiration everywhere. Sometimes in a TV show, sometimes in a store, sometimes just walking outside or watching the rain falling. I try to stay open to new ideas so they find their way into my mind. I enjoy a variety of techniques, from lace to cables, and different colorwork techniques. I like texture and I like to combine a few techniques in the same project. 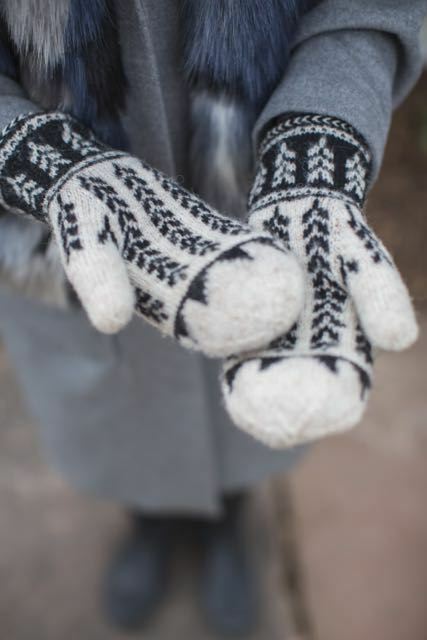 Colorwork is probably what I prefer, and I find Fair Isle to be especially stunning. Sadly, I think it's a difficult technique and now, after knitting a lot of Fair Isle projects, I'm just starting to really enjoy the process. More recently, I appreciate mosaic knitting because it's so much easier than Fair Isle, and the results can also be very interesting. 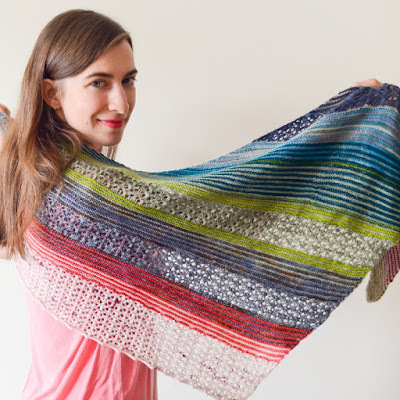 It's a good compromise for an easy and enjoyable colorwork project. Let's be honest, we are surrounded by amazing designs and it's impossible not to see and like them! I think that artists from the same discipline are always influencing the other ones, but as our creations are coming from our hearts and minds, shaped by our very own experiences and feelings, the results are personal and unique. 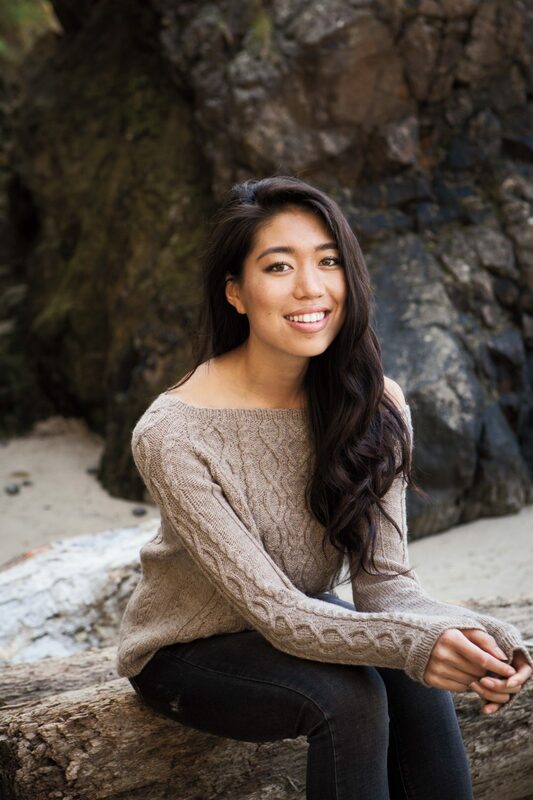 I knit my own samples, but I have an army of test knitters who knit my patterns, find mistakes, help me with my English as it's my second language, comment, give improvement ideas, etc. 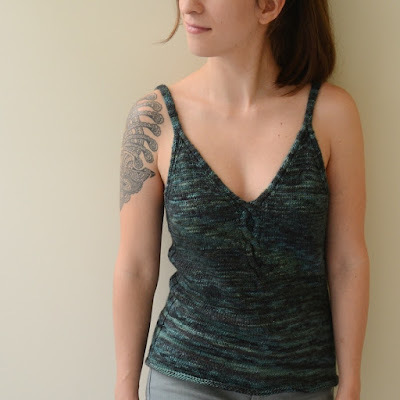 Most of my patterns have been knit by 10 to 25 people before the pattern was actually released! It's very fun, we do this as mini KALs and we chat and knit, and I feel like my patterns are much better because of their help. No, but I have a couple of set goals. It's my second business and I like this one to be flexible and rewarding, so I keep my expectations low enough to be happy in the end. No, but I followed Tara Swiger's Lift Off program and I found it immensely interesting. It made me feel more in control of my business. No, I wished there were more data about knitting pattern designers but I can't find much. Usually, no, because of my amazing test knitters! They do the tech editing job beautifully! To be honest, I'm not the best at it. My days right now start with sleepless nights as my 16-months-old baby never enjoyed sleeping more than 3 hours in a row, I take care of her until nap time, then I fit as much work as I can during her nap, take care of her until bedtime, and fit as much work as I can until my own bedtime. That's what I do, 7 days a week. I made the choice of keeping her home with me and I don't want to sacrifice my knitting career either, so my personal life is suffering a little. Before I know it, she'll be at school and having sleepovers, so I'll have all the free time I want then. Until then, I'm cherishing the time spent with her and how lucky I am to have found a way to witness her amazing evolution while keeping up with my own passion. I deal very well with constructive criticism. Actually, I'm looking for it, as a way to learn and improve myself. Right now, my first career as a Web Developer is giving me about 2/3 of my income, while my career in pattern design is taking 2/3 of my work time! I know that if I had more time to work and that I could work full time on my designs now, after 6 years of activity, I'd be able to make a living out of it. I'll probably do it as soon as baby's in school, but at the moment, it's more convenient to keep splitting my work time on both areas. Believe in yourself, and then, work hard! It must be your ultimate passion and you must invest yourself 100% into it. It's not easy for anyone, but if you really really want to make it, give everything you have to give, and you will succeed. I have so many ideas, mostly colorwork. I want to knit more sweaters and more baby items. 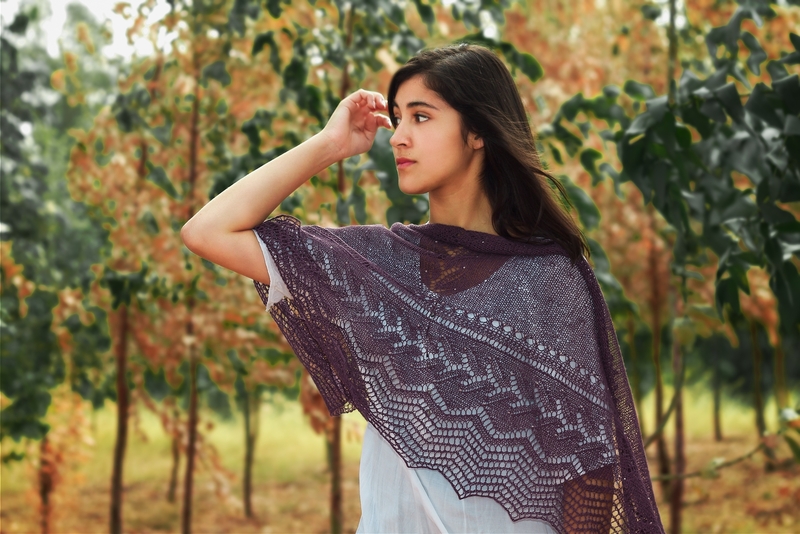 And I won't stop designing shawls because I love it! I’ll just keep going on with the flow of my creativity, and we’ll see where it leads! 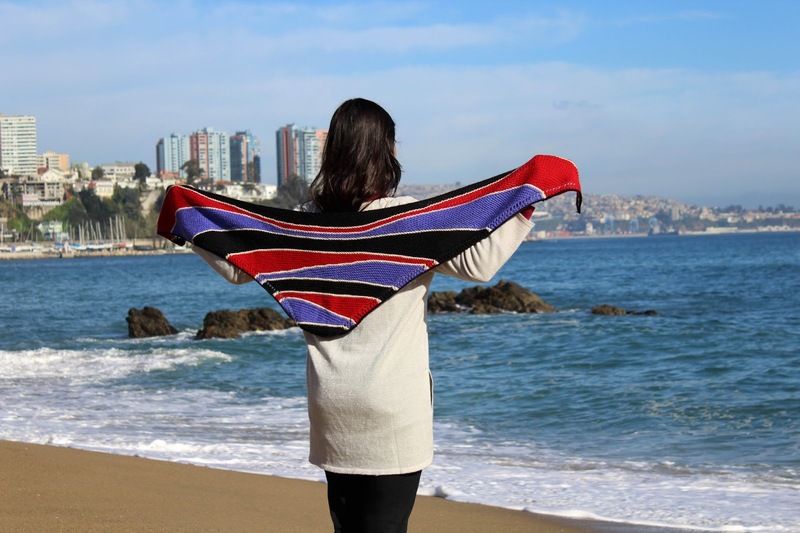 You can find Susana here and here on Ravelry. My inspiration comes from everywhere, perhaps it’s geometric shapes and nature that have the most impact, and which gets my attention. The shapes I see around me, sometimes the people and other times, beautiful yarn. I adore art, it inspires me a lot. 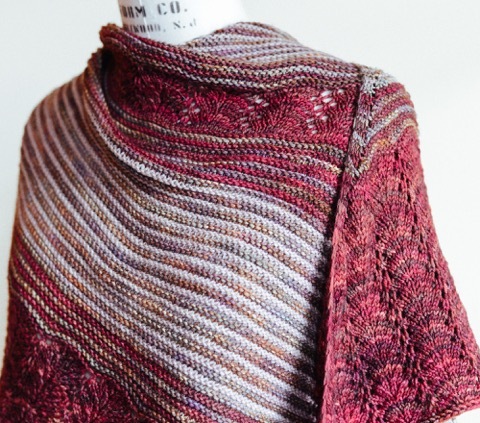 At times I imagine how a shawl can be created from the shapes and colors of my favorite plants. I’m always doing paper drawings or sketches on my tablet, so that I can remember the ideas later. The artistic shapes catch me, the symmetry, repetitions or just maybe their beauty and uniqueness. 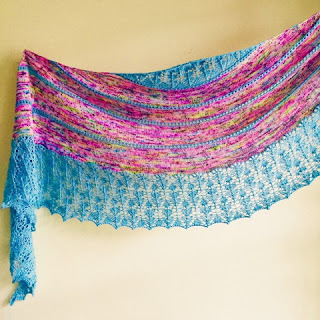 I’m a shawl lover, I adore to design and to knit shawls. I really like the short-rows technique. It’s a great tool for getting a nice effect in the knitted garments and can be used for every type of project. I also use slip stitches, especially with two colors, so a simple design can turn into a fabulous result. I have some romantic designs based on eyelets and picots. 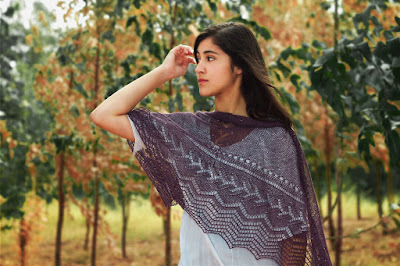 It’s the type of stitch that I usually use in this type of shawl. I like to experiment with different ways to knit shawls as well, so knitting turns into an interesting and fun experience. 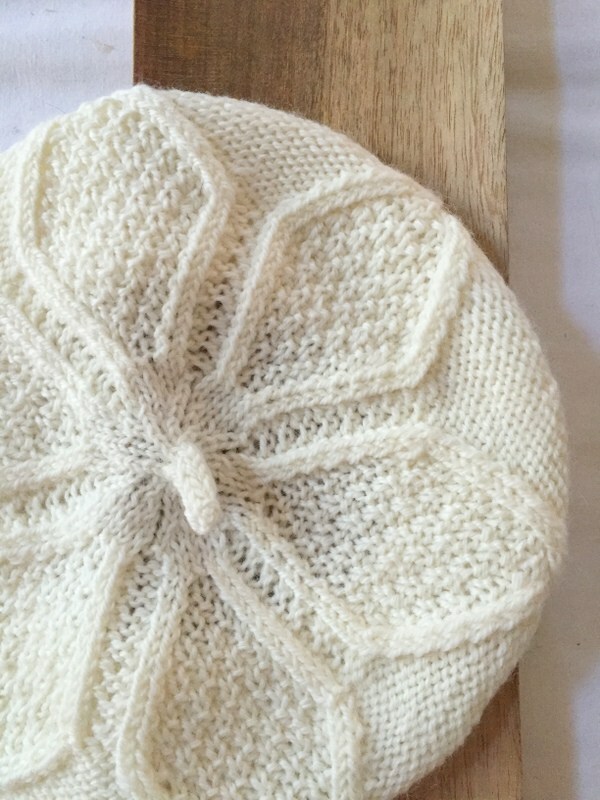 Recently, I’m learning a brioche method that is wonderful. It takes me to a new world. Yes, I follow several designers. There’s some that I really enjoy because of their style. I like to see their work as a possibility for me. I don’t feel fear of being influenced from their work. I care about more being repetitive in my own designs. What I mean is that a lot of times, as a designer, you get used to do something that you really like, and then you don’t do changes or take risks, you only repeat yourself in that style of designs. Personally, I love to experiment, take risks, play with new lines of design and not fall in flatness. The first sample of my designs, I always do it myself. I've had a lot of support from knitters. I have at list six volunteer testers normally. My business doesn’t let me pay others for their work yet, but it’s in my future plans. I meet testers through social media such as Facebook and Ravelry. Also my knitting friends which I share this passion with for so long. I rarely do a test myself to change a size or because I want it in another color. Not yet. I have a plan for starting one soon. For now I’ve used some tools in separate way, always with a business vision. In this moment, designing isn’t my first activity, however, all the free time I have, I put all the effort and passion I can into it. No, I don’t have one. There’s a bunch of designers I admire who I enjoy following, especially for knowing their techniques of sharing their work. Yes, but I don’t do it completely yet. I would like to have my own website to interact directly with the knitters. 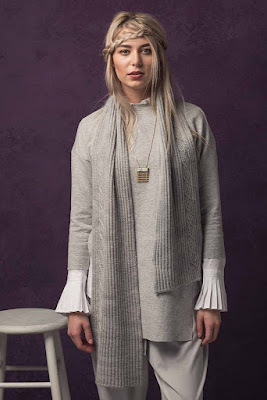 Sell my designs; upload tutorials of different techniques that I use in my patterns, tricks and tips for knitters. I’ll have a Pattern Club for those who subscribe and a chat interactive, to answer questions about patterns or tutorials. Even a newsletter, where I can show new things often, share sales or challenges for doing in groups and share things from the knitting world and yarns, to enjoy with my audience. 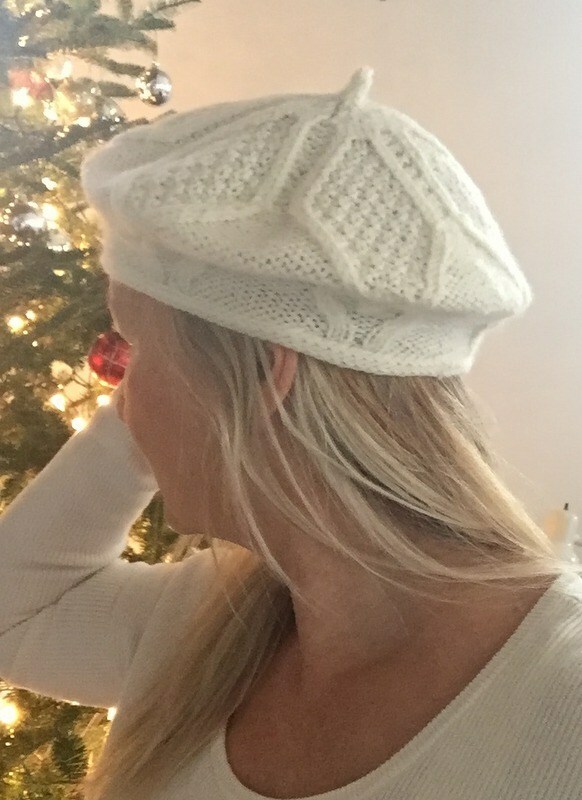 For now, I use Ravelry and Craftsy for selling my designs. I do a MKAL every June since 2016, and that way people have got to know my work. Besides, I use social media as a support, like Facebook, Twitter, Pinterest and Instagram. No for now. For my patterns, I do the technical editing, of course, with valuable help from my testers. With difficulty, honestly. I haven’t time for knitting and design, because of the kind of life I have. My work as a consultant in technological projects takes all my time in a day. I’d like to have more time to spend knitting more and trying new designs. A lot of them are waiting as drafts or sketches not yet knitted. I thank them no matter if they’re positive or negative. I use them to learn and improve because usually the people are right. There’s always something that can be improved. The critics are always an opportunity. I’ll share with you a memory. Long time ago, like six years ago, I had a very hard critic because of my English level. This person said that for her, was terrible. The time passed and with practice and support from my knitting partners, I receive a lot of congrats for my progress in this aspect. I’m always updating my vocabulary as well and I love learning new things. It took me, maybe a year when I decided to sell my first design. Was then, when I felt capable, my work was the same quality as others. 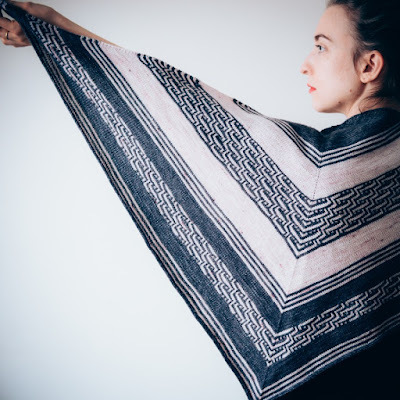 I have almost 3 years selling my pattern designs on Ravelry. I like how it has evolved. So I keep motivated designing, but not as my first business yet. I hope that two years from now, I can maintain myself with this and afford traveling to the yarns expos and to meet my favorites designers too. My advice is that you have to knit things you like the most. Share with the people that have the same interest as you, learn all the techniques you want and challenge yourself to use them. Another important thing is work with high quality materials that have a very long useful life. Choose colors and textures that you really like and be prepare to experiment, try new designs and explore patterns. Adapt yourself to everything and especially have fun! Have patience and don't give up! In the future, like I said before, I’ll have my own page for selling my designs. I would offer my special patterns for my Pattern Club. There, I’ll have exclusive patterns for those who subscribe, one for each season of the year, at the beginning. There will be events every week and year, similar to my MKAL that I do in June. This year is the 3rd, it’s almost ready. I’m pretty sure you will love my surprise. Every year I choose something different, so I make sure people enjoy the challenge, have fun, are surprised and delighted with a new design every year. 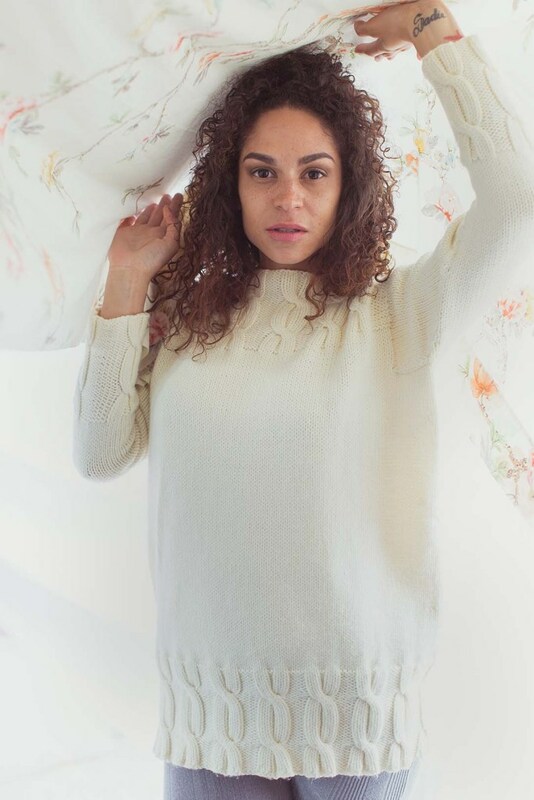 And last but not least, I have a goal to create unique designs for exclusive brands of yarn that give me the opportunity to express my creativity. You can find Cheryl here and here on Ravelry. It is everywhere! My biggest problem is how to keep track of inspiration so that I can draw upon it later. I’m very often inspired by yarn. It is exciting to me to see yarn in a pretty skein, full of promise, and then imagine how it might be transformed. As a former film Art Director, I get a lot of inspiration from classic cinema. I find it interesting to look at a garment from the 30’s or 40’s and think how it might be brought to life with modern tools and techniques. Also, I find a wealth of inspiration in British television because it is so well researched and curated. I’d hate to name just one, partly because I’m always finding something new to try and partly because I’m relatively new to knitwear design and don’t feel I’ve done enough to declare a specialty. I do love knitting cables. I love stranded color work. I am a sock-aholic. 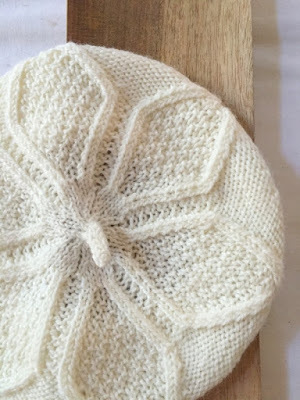 Shaping techniques, particularly directional shaping, is something I’m spending a lot of time exploring lately, along with twisted and travelling stitches. I am a compulsive ogler! I am very influenced by other designers, having come through design school in the Beau Arts tradition. I think it is essential to look at the work of others in order to develop a strong acumen. It’s also practically impossible to avoid, therefore it’s essential to learn the fine line between ‘influence’ and ‘imitation’. Also, I think the Beau Arts tradition trains artists to be a little more generous with ideas, treating them more like a wellspring rather than aiming for the one ‘right’ idea. 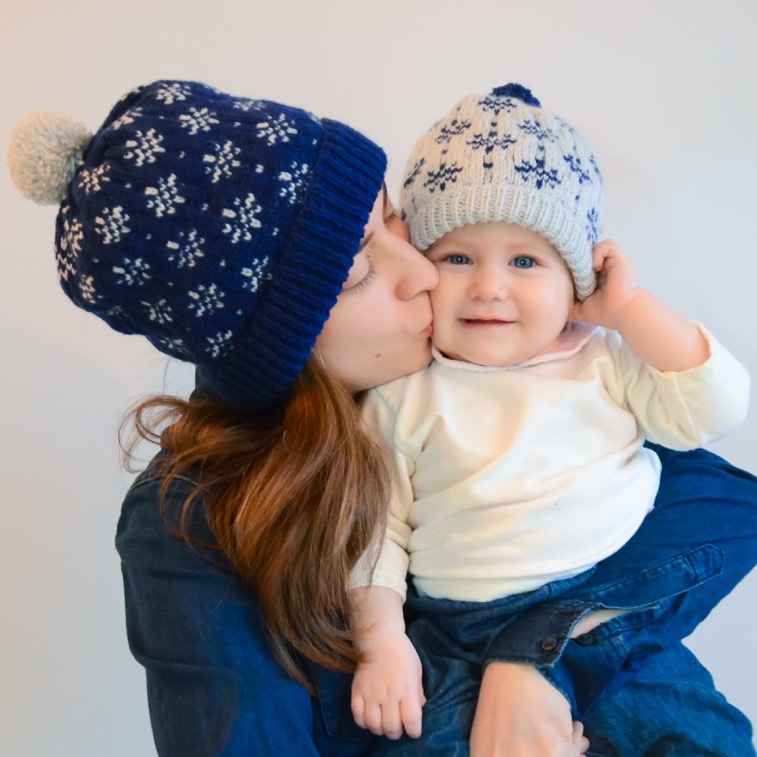 How many sample/test knitters do you have working for you or do you do it all yourself. I couldn’t possibly do it alone and remain self-supporting. Numbers vary depending on my workload. Right now, I’ve got 7 talented people knitting. I am very blessed to have met some incredible practitioners along the way and so grateful that they’re willing to bring their expertise and feedback to the table. It becomes a very collaborative process, especially with design for publication. At that point you’ve got an editor and a tech editor as well as sample and test knitters. I find it very rewarding. Not to begin with because I really didn’t think this career path was very realistic. 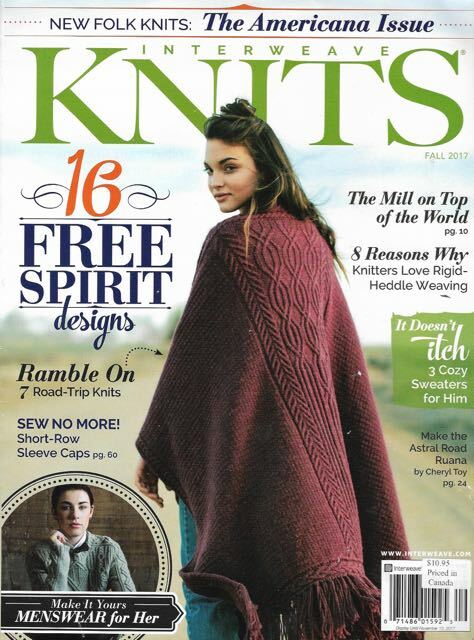 I sort of fell into it with the first publication, the cover of Interweave Knits, whereupon things began to really snowball. Then I thought “Cheryl, you need to get a plan”. I think a formal plan is the gold standard. Currently, my plan is in a rapid state of evolution! How long a list are you willing to publish? So many people, yourself included, have offered advice and support, sometimes without even knowing it. Elizabeth McCarten (interview here) has had a tremendous impact on my work, in both design and process. The knitter I think of as my guru turned my hand back to knitting after many idle years. She is Bette Bornside of the Bornside Yarn Co., a precious little yarn shop in Fauboug Marigny. I try to see her every week when I’m in New Orleans. She still inspires and advises me. Not specifically, but I do enjoy the guidance I receive from Tara Swiger who produces a daily audio podcast as well as teaching classes. She has also written several books. 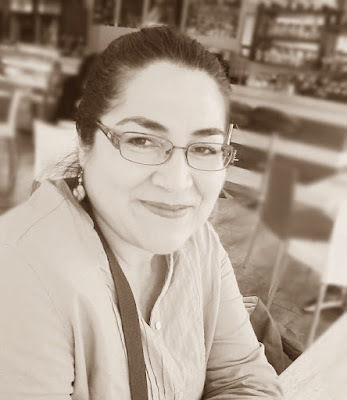 She is an online coach for people who have given up their day jobs to work on what they love. Tara is both practical and inspiring. For self-publishing, I had always used a test knitter. When I started working with magazines where a tech editor is assigned to the design I felt like I’d died and gone to heaven! I feel extremely spoiled and special when I get to work with a good tech editor. I learn a tremendous amount every time, not just about a specific style sheet but about the beautiful code that is a knitting pattern. Tech editors have helped me to love the technical writing part of my job. I don’t actually do that very well yet. Right now I’m just trying to keep all the balls in the air! I’m finding that diarizing everything in my desk calendar keeps me from feeling overwhelmed. At first I resented the time that it takes to write everything down, but lately I rather enjoy it. It helps to know that every little task has a tiny moment reserved especially for it. It also builds anticipation when it’s time to start a new project or put together a bunch of design submissions. I don’t know what I’d do if I had a family! It’s never easy, but drawing once again on the Beau Arts tradition where we had a critique-a-week, I find there’s a way to create safe space between myself and my idea. That way, criticism is never personal. It’s hard to say because I didn’t start at square one and say “Ok, now let’s become a knitwear designer”. It kind of evolved. I didn’t really consider my first few designs as a career even though I was toiling away at it. Generally I think a person should consider two or three years without much income. 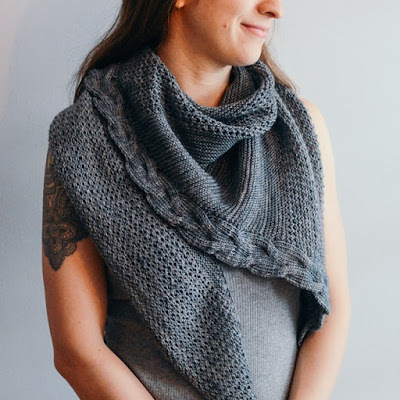 What advice would you give someone who wants to pursue a career in knitting. I’ll use the words of the immortal Elizabeth Zimmerman, “Knit on through all crises.” Smartest words ever spoken. If you want it, keep doing it. Identify your specific vertical track, decide on your income streams, and work away at them. Well, because I’ve aimed so much at publication over the last year, self-publishing has lagged a little. Right now, though I’m still submitting a lot of material, I’m working hard at the self-publishing end of things. 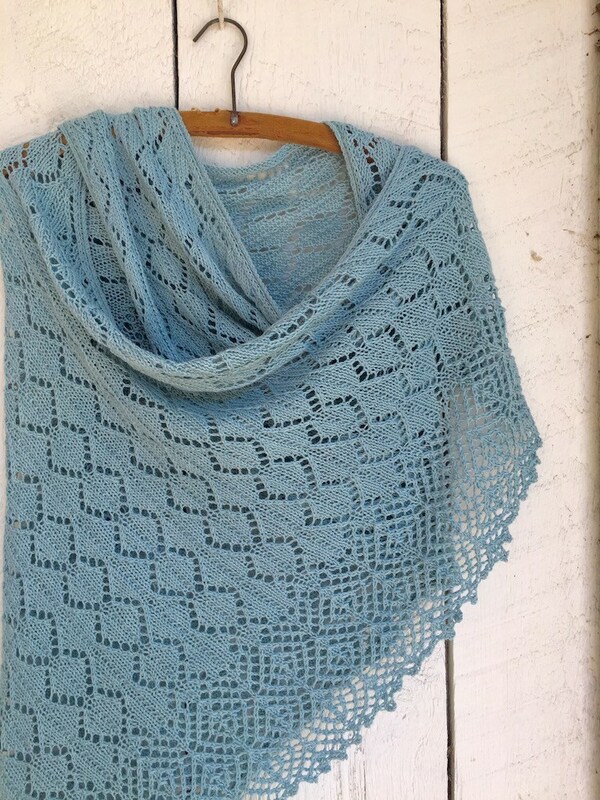 Starting May 1, knitters can find some new material in my Ravelry shop and a blog facelift. I’m adding a style post every week and new releases on Fridays. I’m also looking at adding some new classes to my repertoire.